100% Cotton. Soft and comfortable. 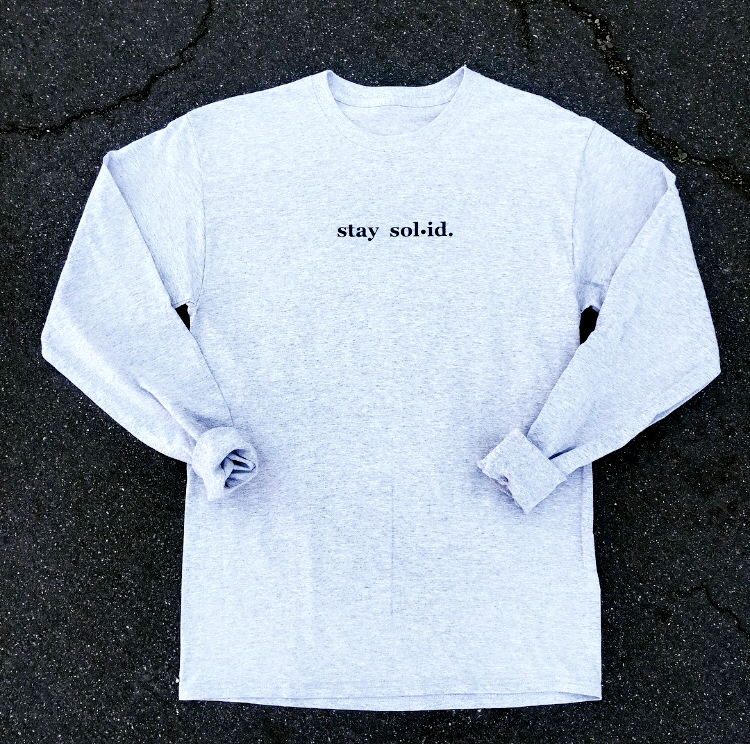 Charcoal Grey & White Unisex Long Sleeve Tee. PRODUCT RUNS SMALL. 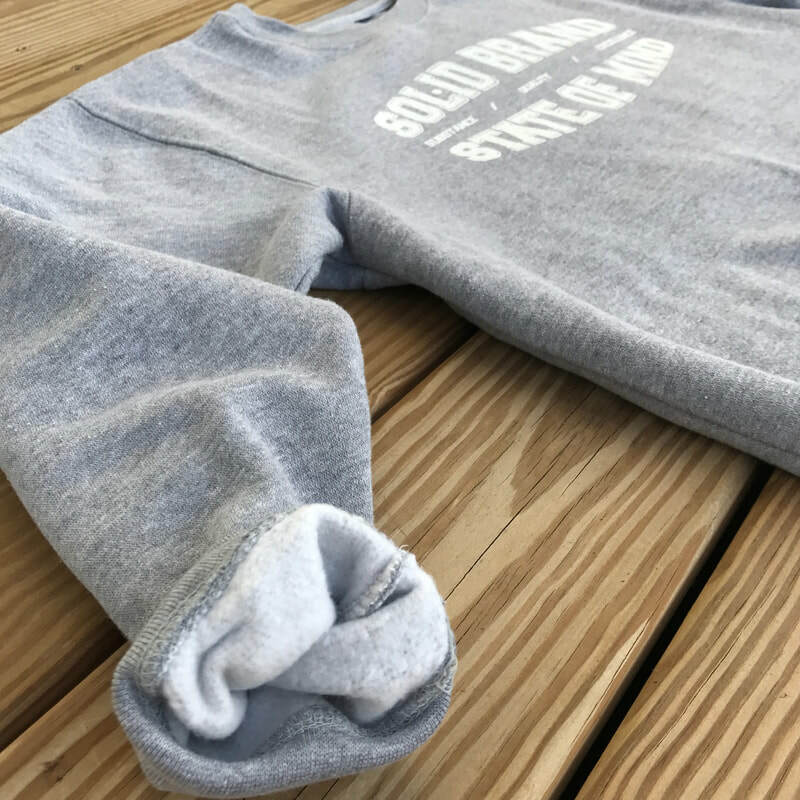 Heather Grey & Black Unisex Long Sleeve Tee. PRODUCT RUNS SMALL. Introducing the sleek & stylish Solid Brand baseball hoodie. The best part about this new addition is that you have the option to customize it with the color of your choice. An everyday essential, a wardrobe MUST HAVE! 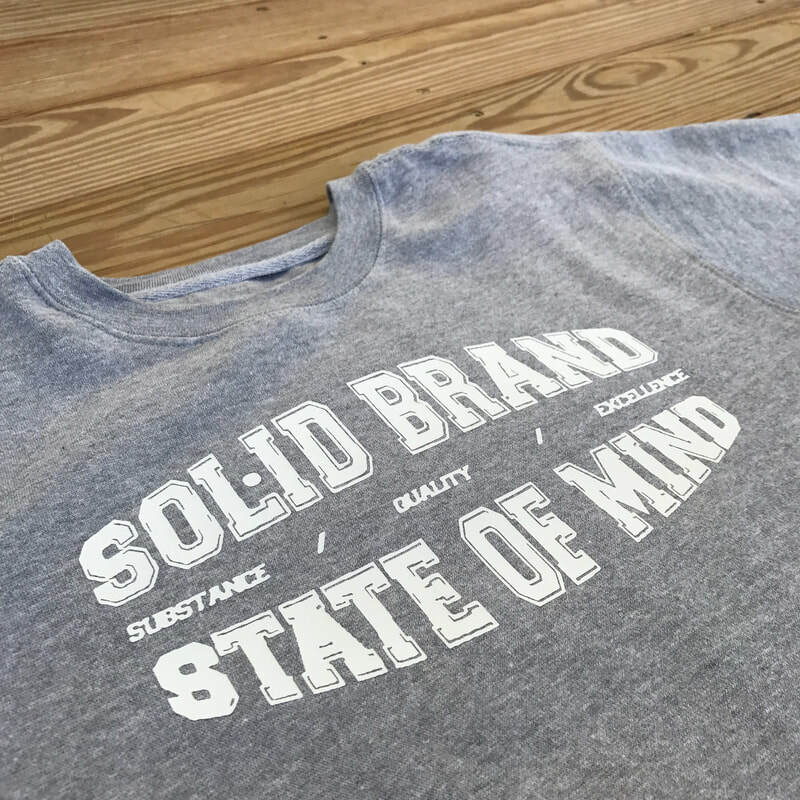 The Solid Brand State of Mind stands for Substance, Quality, and Excellence. 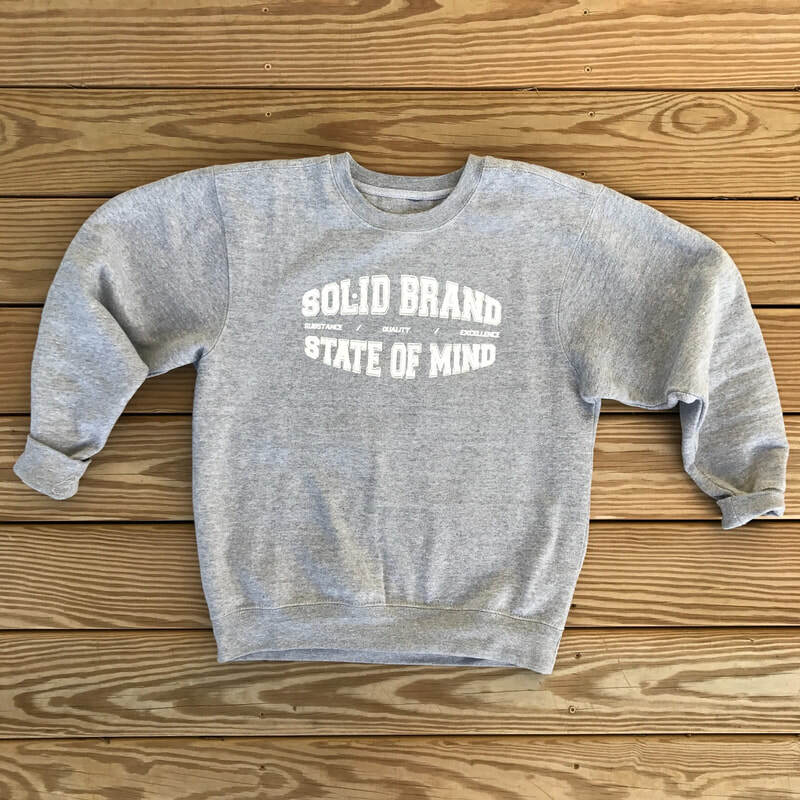 These ultra comfy university style crewnecks's are now available in SEVEN different color ways! Customize your crewneck with a white, black, gold, red, navy, green, or yellow font. Guaranteed comfort & quality, you won't want to take it off! Make a fashion statement with our newest addition! Be confident in who you are & embrace your flaws in this soft 100% cotton tee. Now available in two color ways, this everyday tee will pair up with just about any & everything! Now available in two color ways, these sleek and stylish Solid Brand Baseball Tee's are the newest additions to our store. This must-have piece features a curved hemline and 3/4 length sleeves. A wardrobe essential that you cannot live without! Guaranteed for everyday comfort, you can keep it casual and pair it with your favorite jeans and sneakers or dress it up with a blazer and boots or your go-to high heels. We aspire to inspire the world to stay solid while living a life of quality & substance. 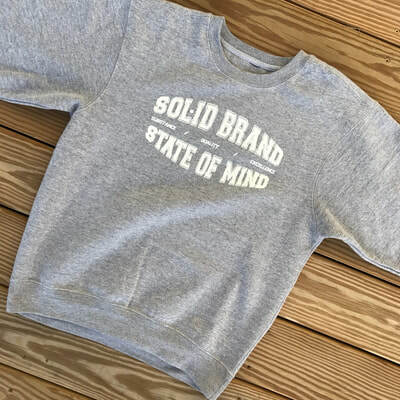 ﻿With every purchase of Solid Brand Apparel, a percentage goes towards local community outreach. S O C I A L.
FOLLOW US ON INSTAGRAM & TAG US IN YOUR PHOTOS WEARING YOUR FAVORITE SOLID BRAND APPAREL. V I S U A L.
​SBA TEAMED UP WITH NBA STAR JARED DUDLEY TO VISIT THE MEMBERS OF CHALLENGERS BOYS & GIRLS CLUB.